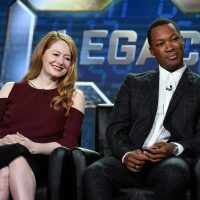 2017 FOX WINTER TCA: L-R: Cast members Miranda Otto and Corey Hawkins during the 24: LEGACY panel at the 2017 FOX WINTER TCA at the Langham Hotel, Wednesday, Jan. 11 in Pasadena, CA. 2017 FOX WINTER TCA: L-R: Cast members Ashley Thomas and Anna Diop during the 24: LEGACY panel at the 2017 FOX WINTER TCA at the Langham Hotel, Wednesday, Jan. 11 in Pasadena, CA. 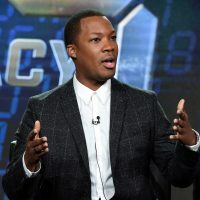 2017 FOX WINTER TCA: Cast member Corey Hawkins during the 24: LEGACY panel at the 2017 FOX WINTER TCA at the Langham Hotel, Wednesday, Jan. 11 in Pasadena, CA. 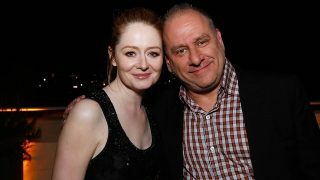 2017 FOX WINTER TCA: L-R: Creators/Executive Producers Evan Katz and Manny Coto during the 24: LEGACY panel at the 2017 FOX WINTER TCA at the Langham Hotel, Wednesday, Jan. 11 in Pasadena, CA. 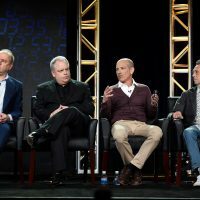 2017 FOX WINTER TCA: L-R: Creators/Executive Producers Evan Katz and Manny Coto and Executive Producers Howard Gordon and Brian Grazer during the 24: LEGACY panel at the 2017 FOX WINTER TCA at the Langham Hotel, Wednesday, Jan. 11 in Pasadena, CA. 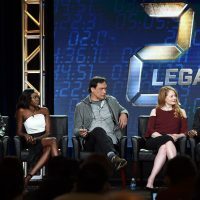 2017 FOX WINTER TCA: L-R: Cast members Ashley Thomas, Anna Diop, Jimmy Smits, Miranda Otto and Corey Hawkins during the 24: LEGACY panel at the 2017 FOX WINTER TCA at the Langham Hotel, Wednesday, Jan. 11 in Pasadena, CA. 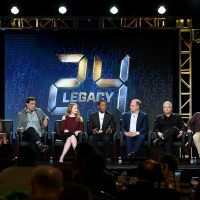 2017 FOX WINTER TCA: L-R: Cast members Ashley Thomas, Anna Diop, Jimmy Smits, Miranda Otto and Corey Hawkins, Creators/Executive Producers Evan Katz and Manny Coto and Executive Producers Howard Gordon and Brian Grazer during the 24: LEGACY panel at the 2017 FOX WINTER TCA at the Langham Hotel, Wednesday, Jan. 11 in Pasadena, CA. 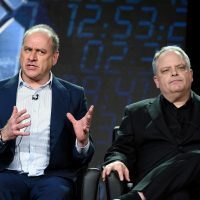 2017 FOX WINTER TCA: L-R: Executive Producers Howard Gordon and Brian Grazer during the 24: LEGACY panel at the 2017 FOX WINTER TCA at the Langham Hotel, Wednesday, Jan. 11 in Pasadena, CA. 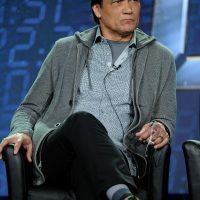 2017 FOX WINTER TCA: Cast member Jimmy Smits during the 24: LEGACY panel at the 2017 FOX WINTER TCA at the Langham Hotel, Wednesday, Jan. 11 in Pasadena, CA. 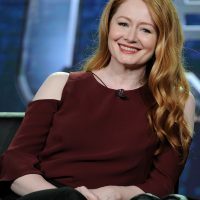 2017 FOX WINTER TCA: Cast member Miranda Otto during the 24: LEGACY panel at the 2017 FOX WINTER TCA at the Langham Hotel, Wednesday, Jan. 11 in Pasadena, CA. 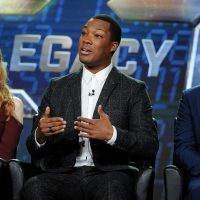 2017 FOX WINTER TCA: L-R: Cast members Miranda Otto and Corey Hawkins and Creator/Executive Producer Evan Katz during the 24: LEGACY panel at the 2017 FOX WINTER TCA at the Langham Hotel, Wednesday, Jan. 11 in Pasadena, CA. 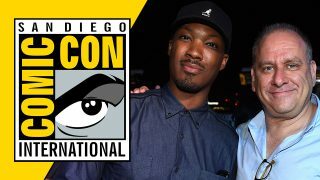 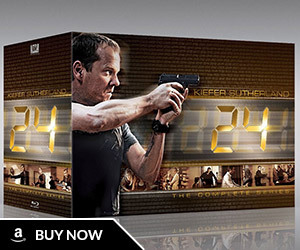 Comic-Con 2016 photos of 24: Legacy cast members Corey Hawkins, Miranda Otto, and Jimmy Smits along with creative crew Howard Gordon, Evan Katz, and Manny Coto.